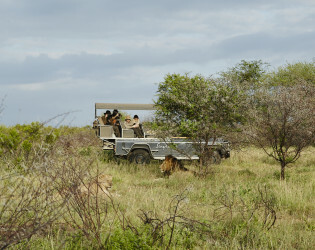 Experience African wildlife the proper way. 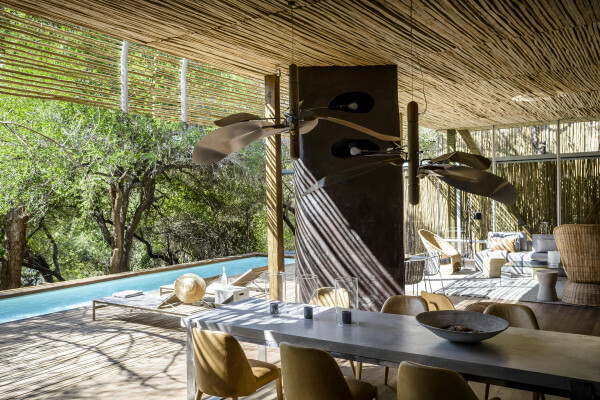 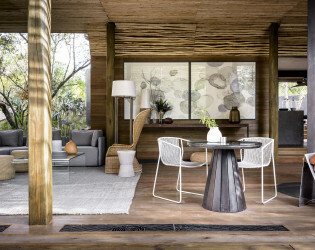 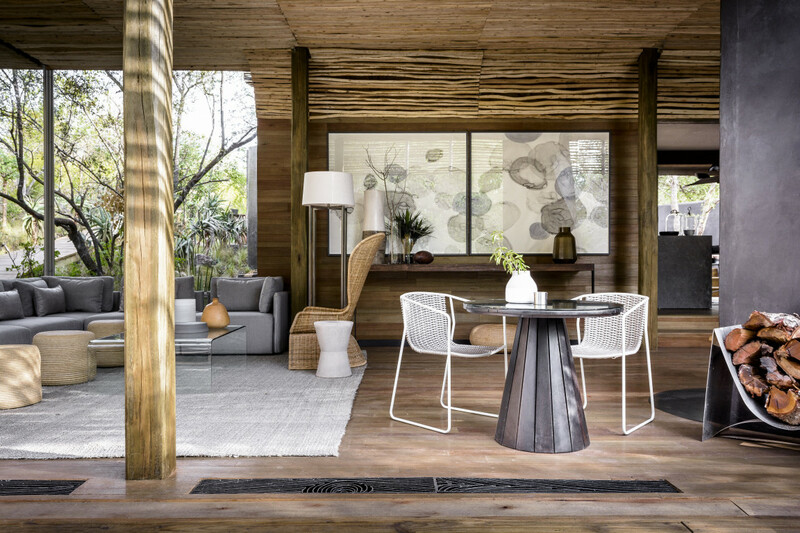 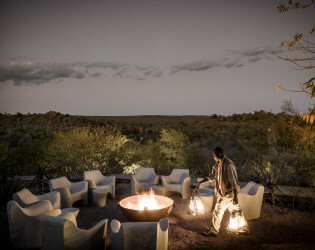 Stay at one of many stylish lodges on family-owned land in the Sabi Sand Game Reserve, with a team dedicated to environmentally conscious hospitality and sustainable conservation. 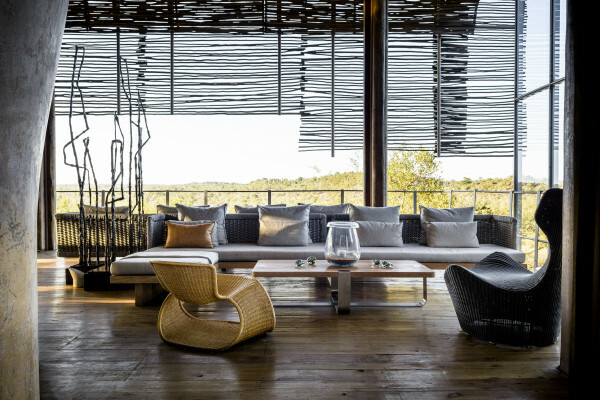 This boldly dramatic lodge, situated on Singita’s private concession in the Kruger National Park, is home to 13 loft-style suites and a 4-bedroom villa. 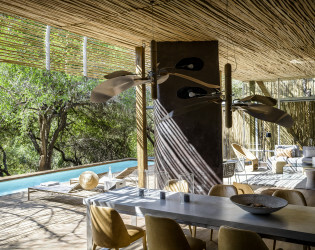 The design of these light-filled structures, floating between river and sky, was inspired by the many eagles’ nests built into the cliff face of the river bank. 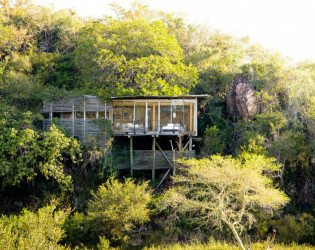 Sophisticated and contemporary, the glass-walled suites are romantic hideaways leading outdoors onto elevated wooden viewing decks where guests may sleep out with nothing more than mosquito netting between them and the stars. 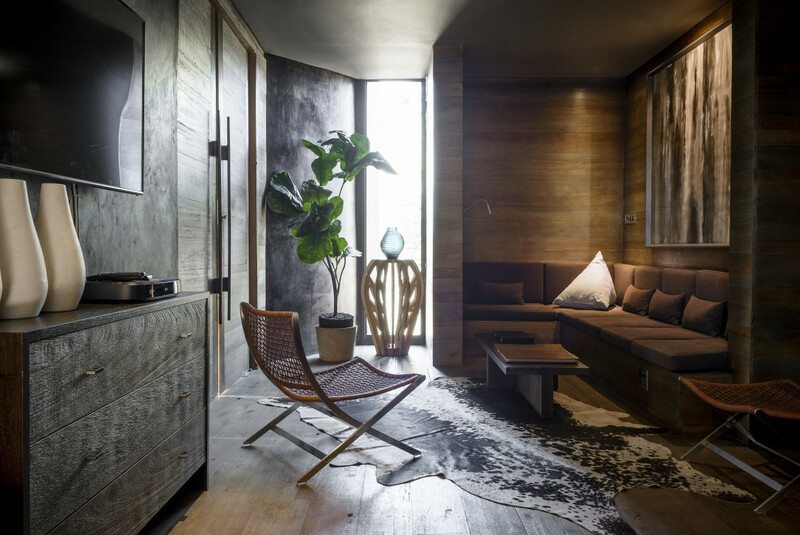 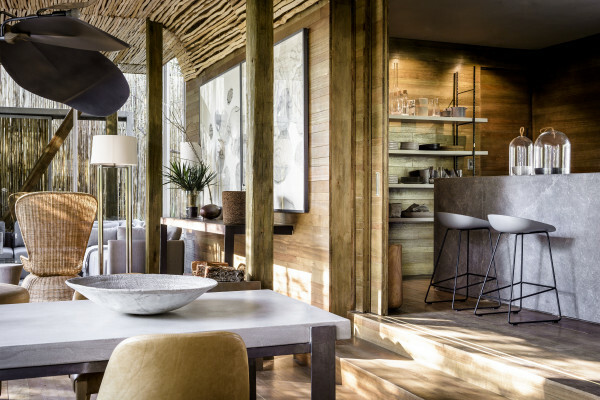 Throughout the lodge, the imaginative use of glass, wood, steel, and layered fabrics in muted shades invites the surrounding landscape indoors. 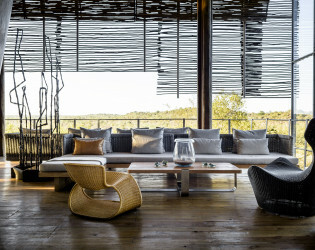 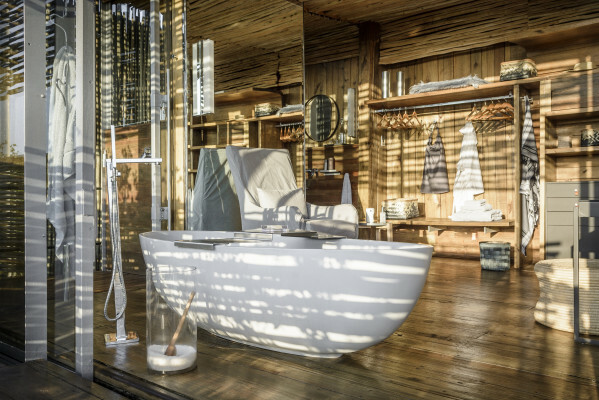 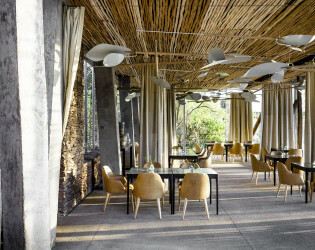 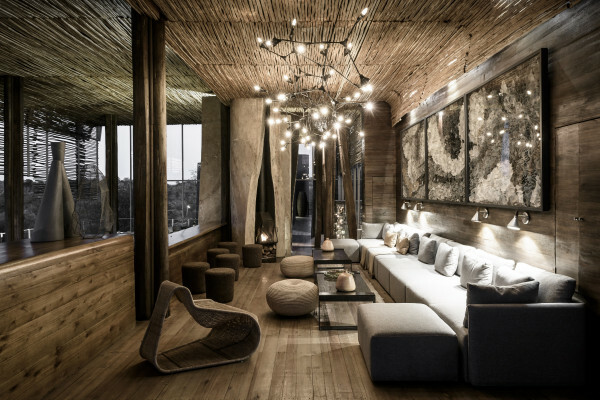 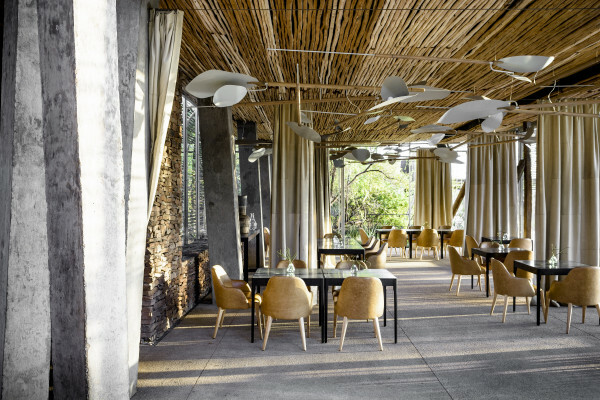 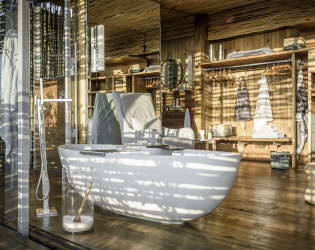 The Singita Boutique & Gallery. 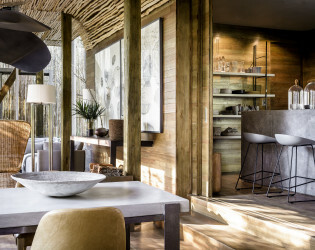 There is a television available in the main lodge area. 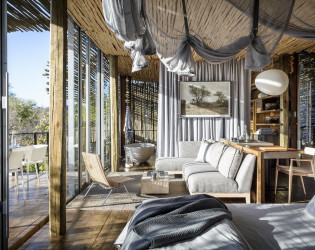 The 13 loft-style suites and 4-bedroom villa, suspended above the N’wanetsi River, have an ethereal, light on the ground feel that resonates with the philosophy of Singita Lebombo Lodge to ‘touch the earth lightly’. 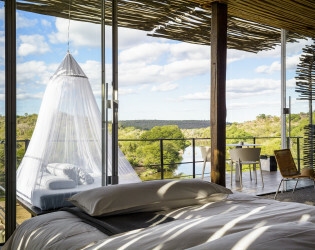 The design of these light-filled structures, floating between river and sky, was inspired by the many eagles’ nests built into the cliff face of the river bank. 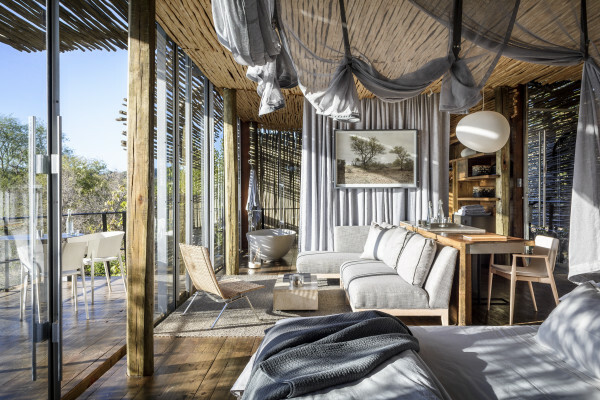 Sophisticated and contemporary, the glass-walled suites are romantic hideaways leading outdoors onto elevated wooden viewing decks where guests may sleep out with nothing more than mosquito netting between them and the stars. Throughout the lodge, the imaginative use of glass, wood, steel, and layered fabrics in muted shades invites the surrounding landscape indoors. 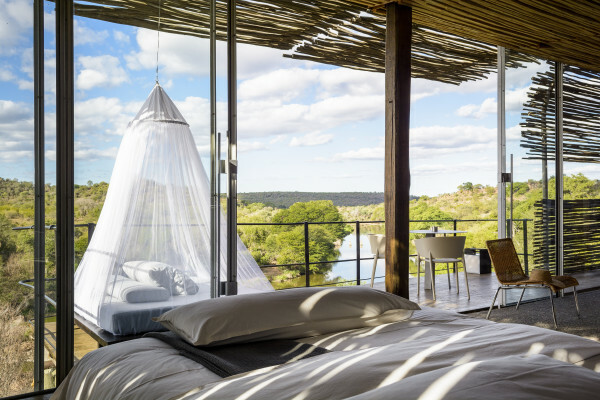 Amazing picturesque views off the balcony. 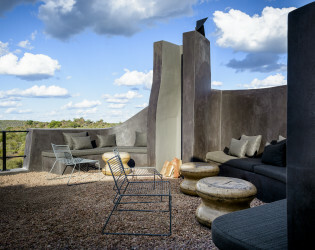 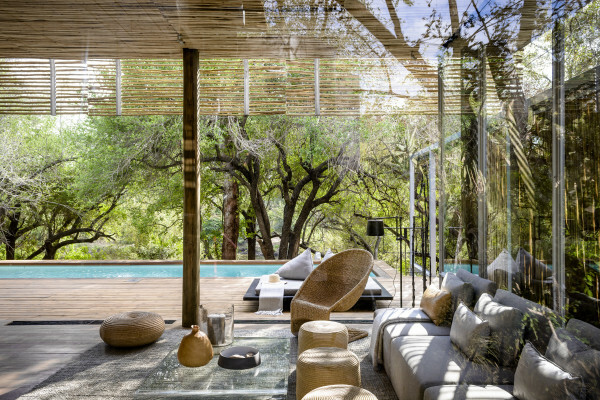 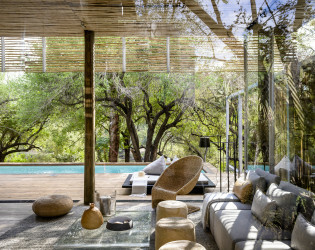 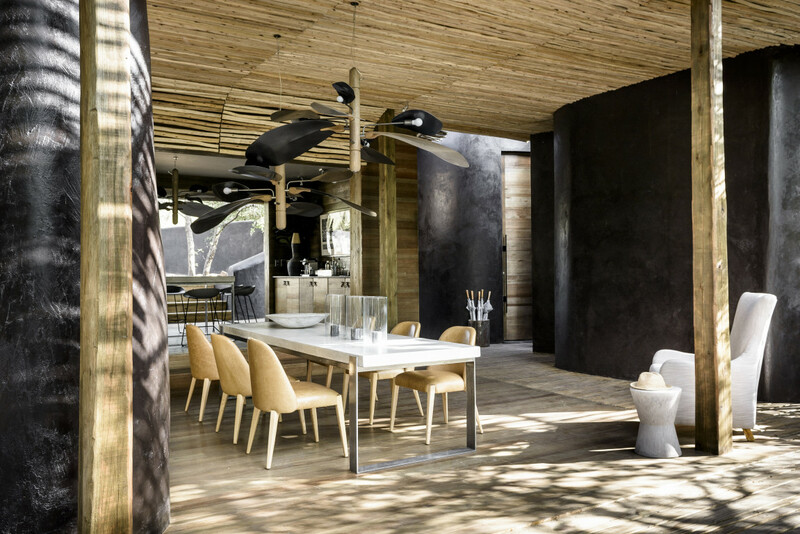 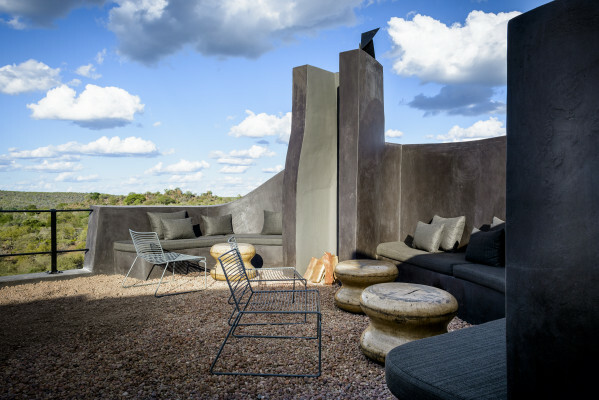 This dramatic lodge, comprises 13 suites and one private-use villa that give guests a front row seat to the Kruger National Park with bold, contemporary open plan suites suspended above the N’Wanetsi River. 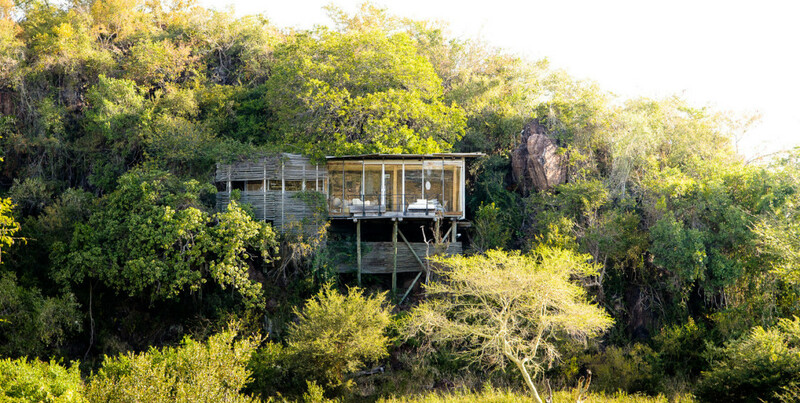 Like a collection of eagles’ nests perched along the rugged cliff faces above the N’wanetsi River, Singita Lebombo Lodge looks out regally across the landscape. A safari makes for an unforgettable family holiday, with exhilarating activities for the entire family to enjoy, memories made together that will last a lifetime and opportunities to learn and grow together. 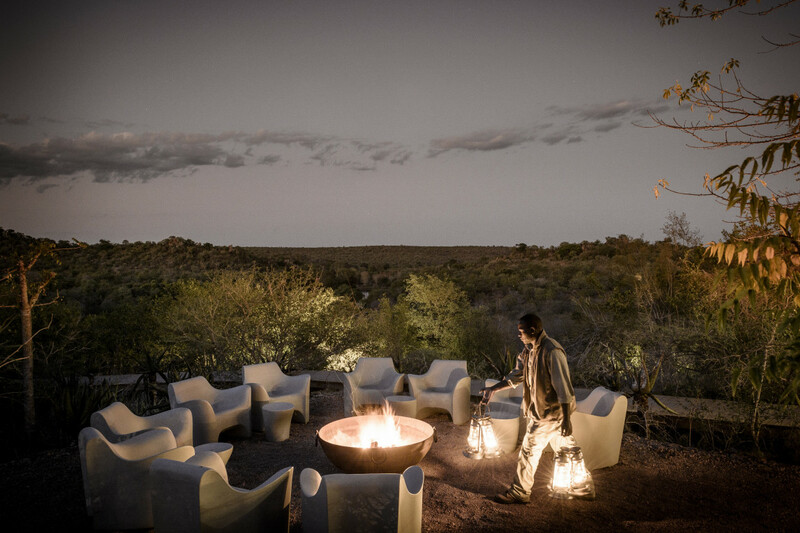 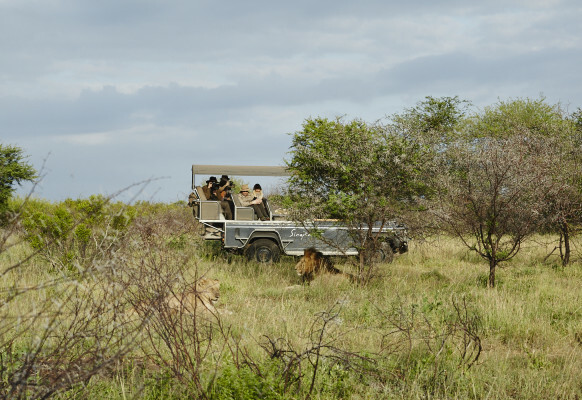 The exclusive concession is a richly diverse habitat, teeming with game, beneath endless African skies. 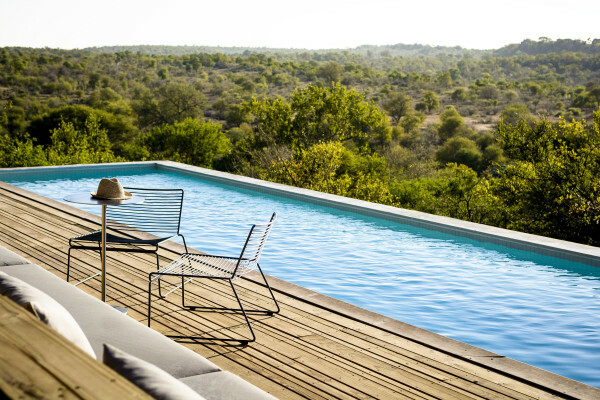 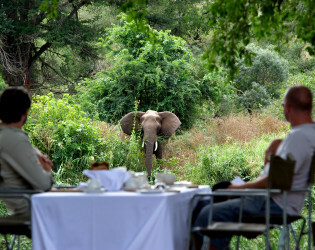 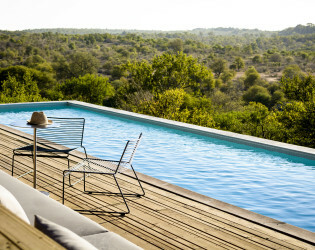 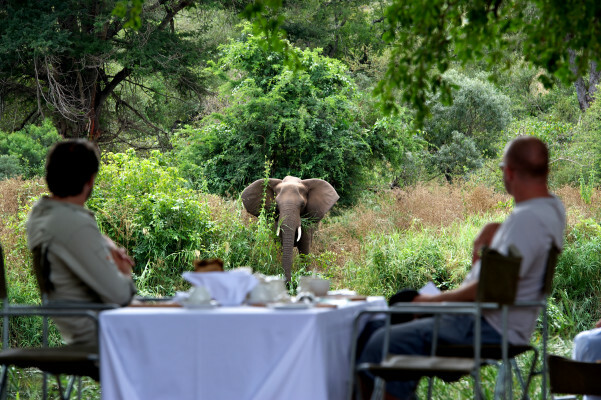 Singita Lebombo Lodge welcomes guests ages ten and above. 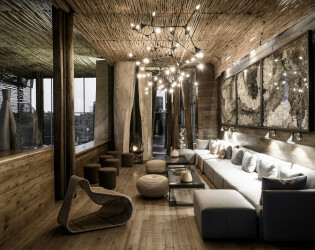 There is perhaps no more transcendent experience than looking up at a full sky of sparkling stars.